Location: 6703 Melrose Ave, Los angeles, Ca 90038. 323-935-2977. Last night I ate at Hatfield’s, so as a sort of prequel I dredged up last summer’s meal here. TO SEE MEAL 2 CLICK HERE. Some of my foodie friends had recommended Hatfield’s. It’s now the 4th place we have tried in this space: Citrus, Alex, Mason G, and Hatfield’s. Most of the restaurants were quite good, but there just seem to be these spaces that have a curse about them. Hopefully this most recent entry sticks around, it’s very good. They also have a bunch of prix fix options, including vegetarian ones. I’m always a big fan of set dinners. 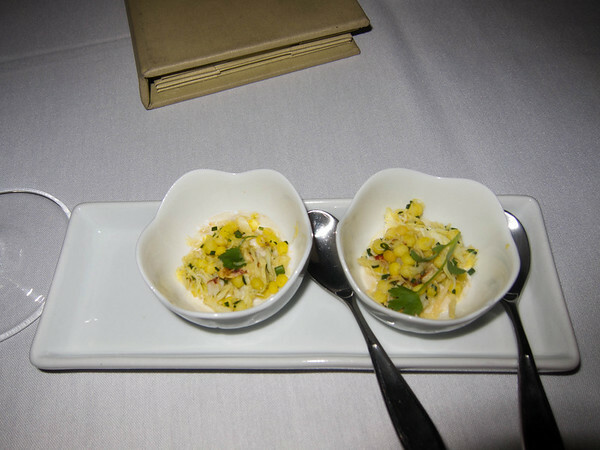 Crab, cilantro, and corn amuse. Because it was just me drinking, I went with wine pairings on this particular evening. As one person it’s either getting very drunk in my attempt to finish off a single bottle all by myself (and hence avoid the wrath of Dionysus) or pick from the generally very small selection of half bottles most restaurants have. 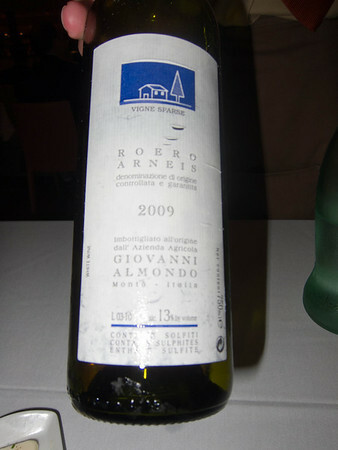 Wine pairs provides a nice third choice. 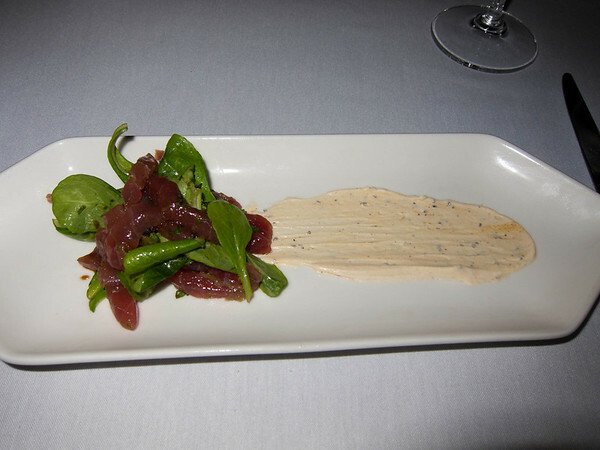 Tuna salad, with an aioli. This was really good. 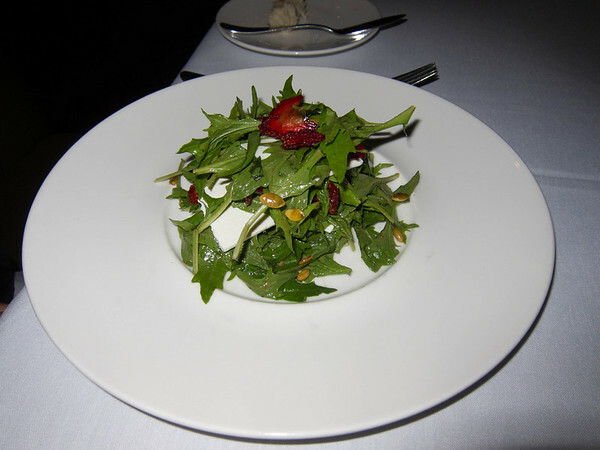 A bright arugala, goat cheese, and wild strawberry salad. Fresh homemade pasta with heirloom tomatos and pesto/pistou. 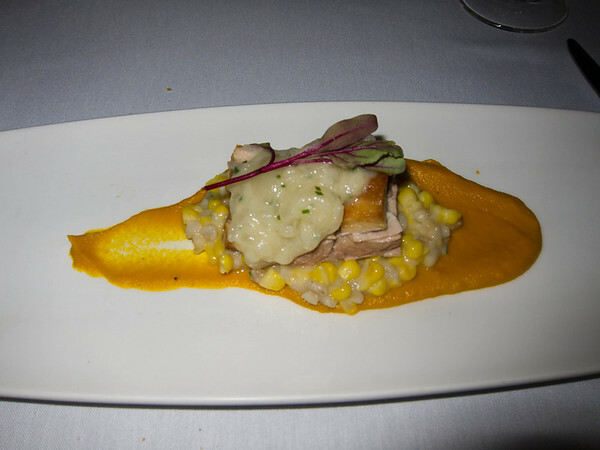 Pork belly, with corn, a sweet potato puree. Rich on richer. 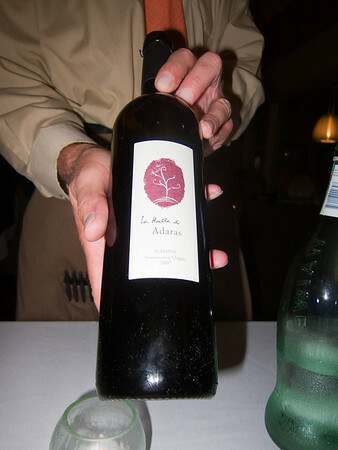 The meat wine. 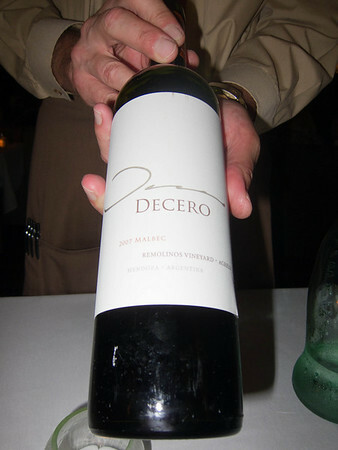 I’m not a huge Malbec fan, but this one was pleasant. 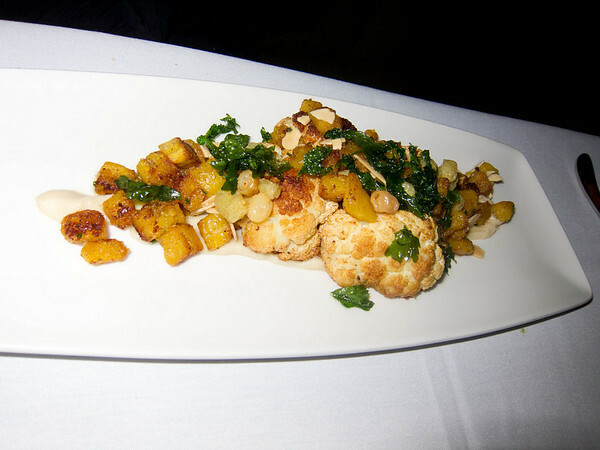 “Brown butter-roasted cauliflower”, golden raisons, corn, etc. Very nice. 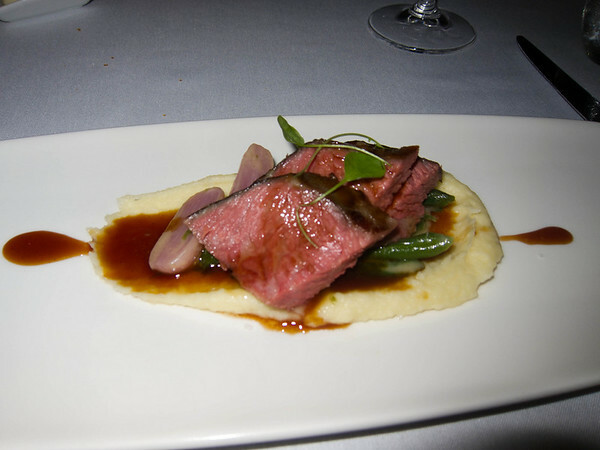 A very rare lamb or beef with a mashers type puree underneath. 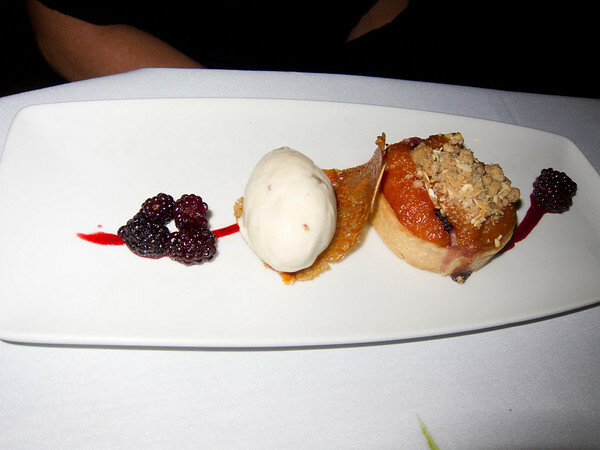 A kind of fruit tart. 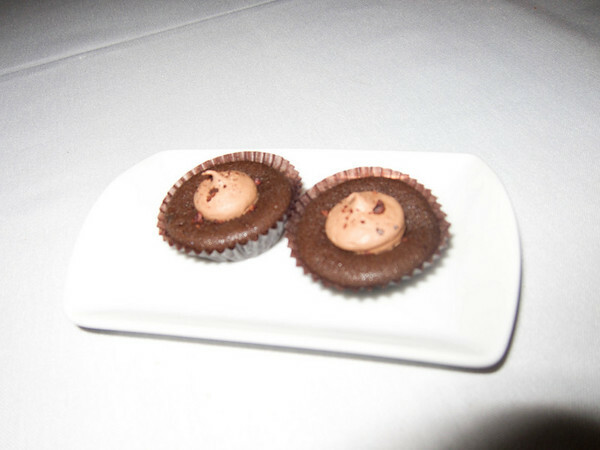 The Petit Fours, little cupcake/soufflé like things. Very nice new entry in the “fine dining” category. 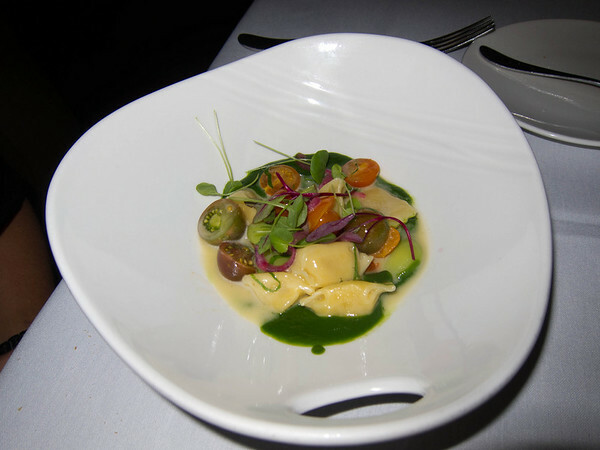 Everything was very fresh, with bright innovative flavors. 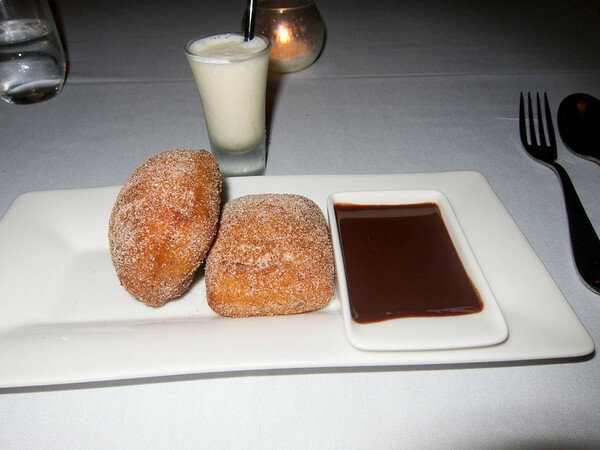 TO SEE MY SECOND HATFIELD’S REVIEW, CLICK HERE. This entry was posted in Food and tagged Cooking, Cuisine, Dessert, Dionysus, Food, Restaurant, Salad, vegetarian, Wine, wine pairings.